Ever heard of Vaio laptops? Yes you should if you are that familiar with rugged laptops. Well, since the smartphone market is currently on a boom, Japanese electronic company has announce its new smartphone dubbed Vaio Phone Biz. The new Windows 10 Mobile smartphone is an upper mid-ranger that features a premium design, a large Full HD display, an octa-core processor and ample RAM for pleasurable user experience. The Vaio Phone Biz flaunts solid, premium construction as yould expect from a premium smartphone. Its body is made of aluminium with its appeal enhanced by a chic silver finish. The build quality is comparable to that of laptops in the popular Vaio range. In terms of the display, you get a huge 5.5-inch LCD display with a resolution of 1,080 x 1,920 pixels for great colour reproduction. Photo freaks also have something to make do with as the Vaio Phone Biz rocks a 13-megapixel rear camera and a 5-megapixel front-facing camera. You get 16 GB onboard storage for keeping your photos, videos and songs. Additionally, the phablet can take microSD cards with up to 64GB capacity. 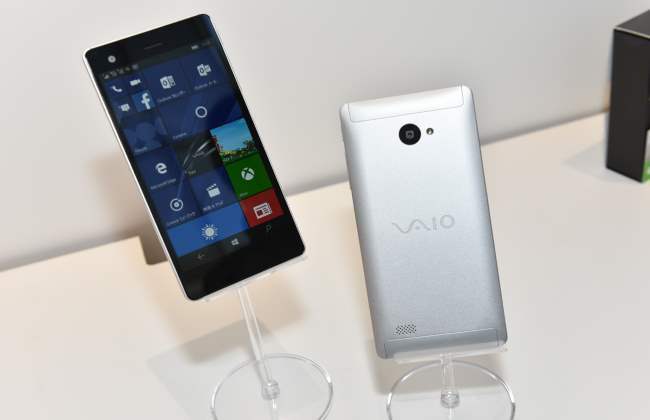 The Vaio Phone Biz packs an octa-core Qualcomm Snapdragon 617 processor, whose speed tops out at 1.2 GHz. Being paired with 3 GB of RAM for a snappy performance. Connectivity features on the Vaio Phone Biz include lightning-fast 4G LTE as well as 3G, Bluetooth 4.0, Wi-Fi and other standard options. And a 2800mAh battery completes the package.